WHY IS BETTERHELP RIGHT FOR ME? Pay a low flat fee for unlimited counseling with your counselor. Counseling doesn’t have to be expensive. Do it at your own time and at your own pace. Communicate with your therapists as often as you want and whenever you feel it’s needed. Help is available at your time and your place. Put a therapist in your pocket, get help when you need it. iCounseling.com is a professional mental health service that allows users to connect with licensed therapists In order to provide the best experience possible, our unique online platform holds several benefits over traditional face-to-face therapy. 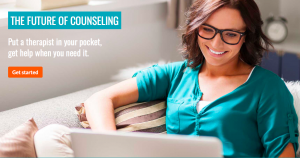 On iCounseling.com, you have access to communicate with your counselor through scheduled video sessions and phone calls, plus unlimited asynchronous messaging with your counselor at any time. Users may connect via a computer, tablet or smartphone, depending on their preference. We operate as a monthly subscription service, providing access to counseling at more affordable rates than traditional, session-based pricing. 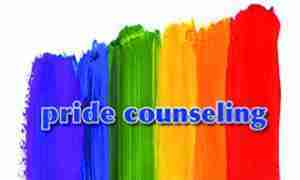 Pride Counseling is an online counseling site for the LGBTQ community. Whether you are struggling with mental health issues, your identity, or just need someone to talk to, we believe help should be accessible to everyone. We noticed that individuals in the LGBTQ community suffer from mental health issues at a disproportionately high rate and we wanted to help. By providing online counseling to the LGBTQ community, we make help accessible and accepting of everyone. We provide a platform for people to get the help they need discreetly, affordably, and conveniently. Message your counselor whenever an issue arises. Schedule sessions that work with your schedule. Regain is an online relationship counseling platform. We change the way people get help facing relationship challenges by providing convenient, discreet, and affordable access to a licensed therapist. Regain makes professional counseling available anytime, anywhere, through a computer, tablet or smartphone. Regain may be used by individuals or couples seeking counseling for relationship or marital issues.